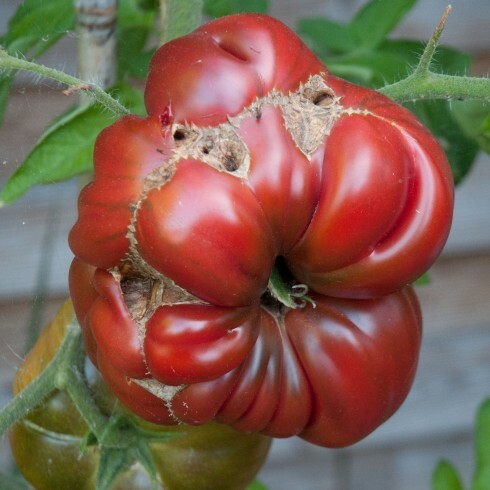 My black krim often look like this. What causes these misshapen tomatoes? They still taste great but sure hard to slice them.